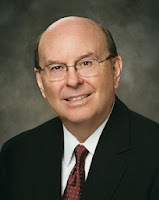 "As we met with the families in Samoa [following a devastating tsunami that occurred there in September 2009], the significance of spiritually going to the higher ground, living a better life, and clinging to saving ordinances was abundantly clear. The Savior’s example and life teach us to spiritually avoid the low pathway, where the things of this world dominate. As I shook hands with the members after our meeting, one sister told me her family had not been to the temple and they had lost a daughter. She tearfully said their goal now was to prepare themselves for the sacred ordinances of the temple so they can be together eternally. 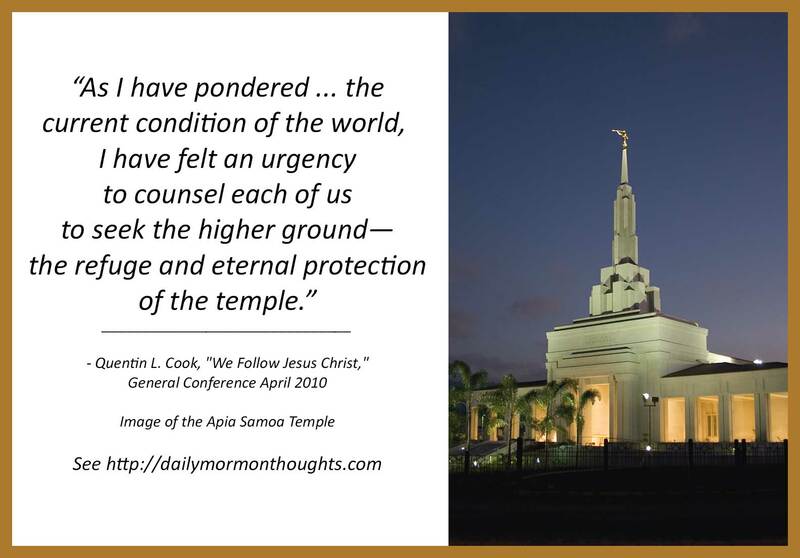 "As I have pondered what this sister said and the current condition of the world, I have felt an urgency to counsel each of us to seek the higher ground—the refuge and eternal protection of the temple." 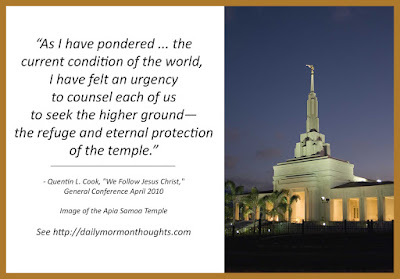 With that urgent counsel from an apostle of the Lord, we should be seeking "the refuge and eternal protection of the temple" in every opportunity we can. Our lives will certainly be blessed as we spend time in quiet contemplation, away from the world's cares, and especially as we ponder the perspective provided through sacred ordinances and through the teachings of the Lord's House.